Photo above depicts Winter on Cape Ann MA with snow and deep blue sky and chill winds in the air. Despite this, it is still wonderful to walk on the beach and ArtMuse Dog loves it because it is one of the few places she is 'off leash'. Wishing you the best in the day. 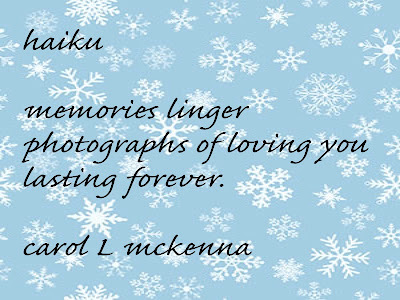 I really love the last image (Horizon) and the haiku about photographs! Your smart dog likes being off leash, of course! Lovely pic. 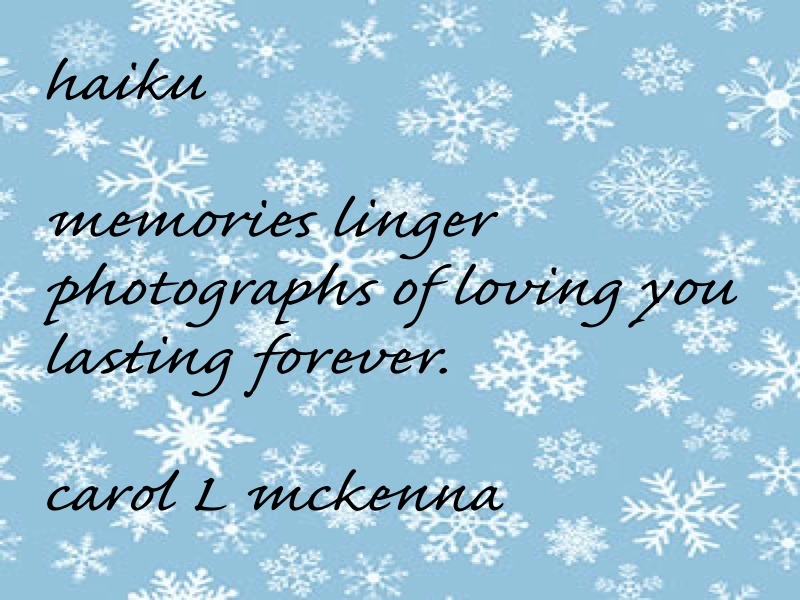 Beautiful sounds in your haiku, Carol, very well penned. Your posts radiate love and beauty! I like your dog's hair cut. Very nice Zen Dog... and your doggie on the beach picture is so darling. I love the zen budha dog. Great post! Love this. I am using our new german shepherd puppy as a theme for the next round! We live near the sea too, so am looking forward in sharing the sights and sounds with him. very nice snow (? ), sky and water shot - we could do with both snow and water here at present. Beautiful post Carol. What a lovely idea 'zen-buddha dog', very nice. 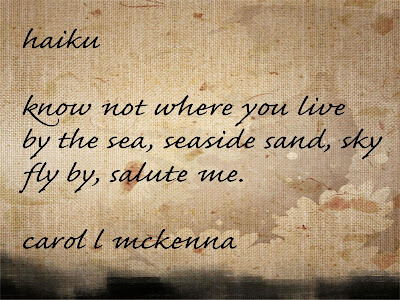 I love the haiku you have written for Carpe Diem. Our next prompt will be 'whale' and I have just finished the new episode of Carpe Diem. Lovely post as always! Thanks for sharing the beauty in your world! Your posts have always been one of my favourites for being so joyful and fresh... you must be one fun loving person... What a lovely haiku there..
Lovely photos, thanks for sharing and your doggie is soooo cute! Your Dog buddha makes me laugh not zen, lol ! Should have one in cat form ! A prompt just made for you. You always have great photos. The memory haiku is sweet, poignant and wistful. I have that same Zen Buddha Dog in my kitchen!! Love your post! The zen dog is so cute! And ArtMuse Dog is looking adorable in the coat :) I love your haikus! 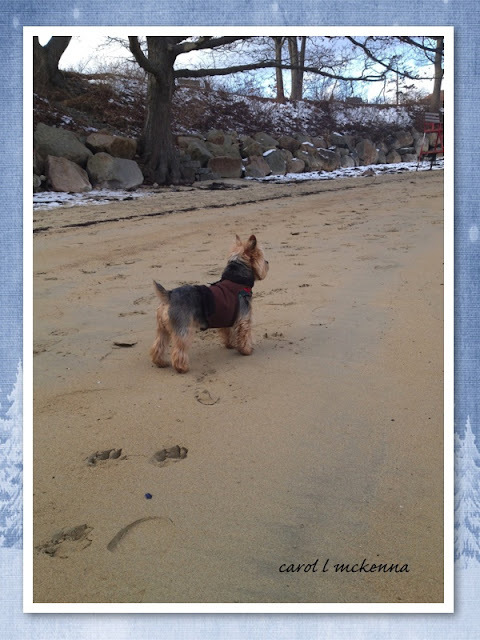 Nice winter photos, love the Zen dog paws, and ArtMuseDog looks the perfect companion on a beach. wonderful shots -- the colors of the horizon are beautiful. Really love your haikus this week! Your photography is wonderful. ArtMuse Dog looks so happy on the beach! the zen dog is wonderful....almost like a real dog!! He looks huggable!! As always, your blog posts are a breath of fresh air. I would love to be sitting on your deck six months from now. How lovely it must be for you and your "assistant!" 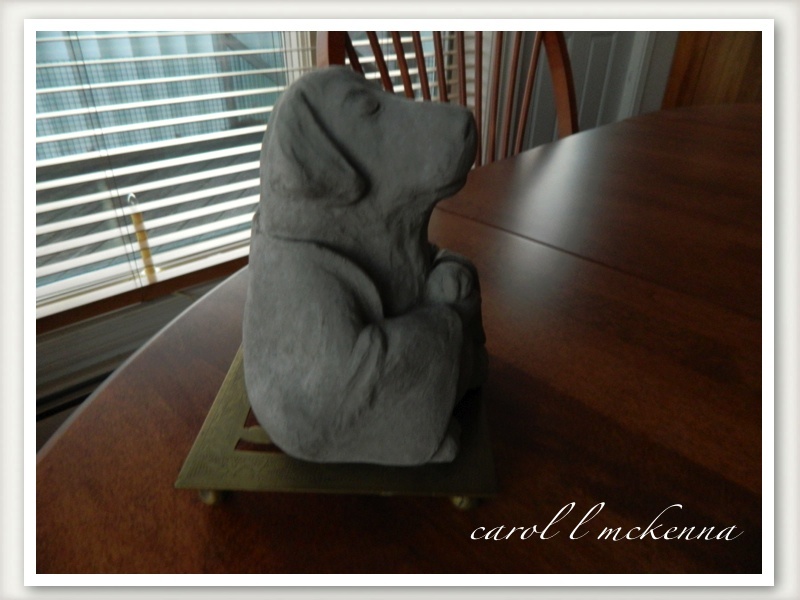 Love the image of the Zen dog - but your gorgeous pet even more! ArtMuse is so adorable in the coat and standing at attention on the beach. thanks for sharing her with us. The ArtMuse Dog photo on the beach is wonderful! beautiful and positive post and lovely and relaxing haiku which is a pleasure to read and think about. Thank you Carol for sharing your creativity. Lovely haiku and photos. Thanks! Your dog is so cute! Love the small statue! I'd love to be sitting on a beach chair looking over that gorgeous horizon! A beautiful post Carol! ArtMuse looks so sweet in her coat. 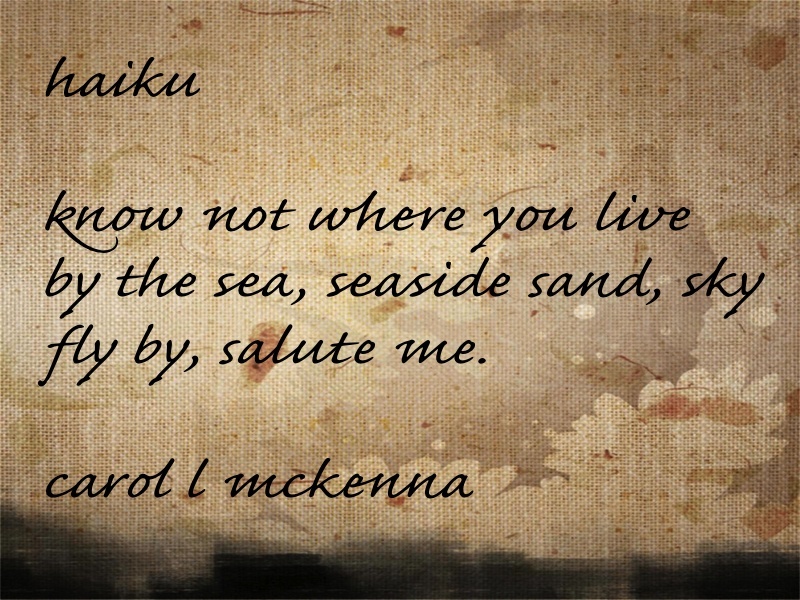 Lovely haiku and your "horizon" capture is superb. Such a peaceful sky at the horizon! 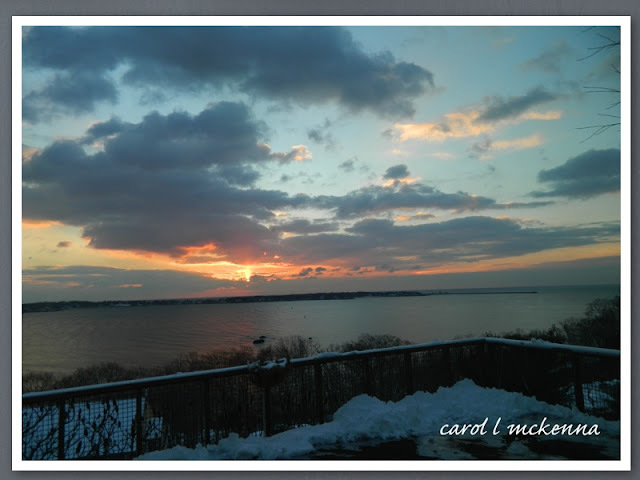 Great capture, Carol! Cute pup, and lovely haikus. Have a wonderful day! NIce series of photos and haiku poems. Carol! I love everything you shared here, but the 'Dog of all seasons' is my total favorite! Thanks for sharing your happiness and haikus!